3440x3440 - 2 pack set Chocolate Brown 6 Cavity Tray 9 1/2" x 6" x 15/16"
Hi Louise, These holders fit item number 3463x3520. Hello, We have to ship 2 dozen chocolate covered Oreos. Will two sets of these along with 3463x3462 fit together comfortably in a USPS priority mail box or would I have to mail them separately? Thank you! Hi India, I stacked the two boxes and the height is about 3". I went to usps.com and it looks like the 'Medium Box 2' would be a snug fit, but would work. We don't ship usps, so I'm unable to test it for you. I hope this helps. Let me know if you have more questions. 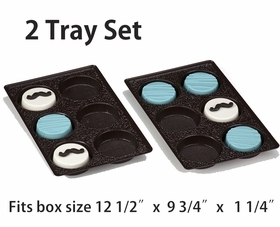 Does the boxes that these tray goes with come in any other colors? Hi Kai, Currently, white is the only color we offer in this size. What color were you looking for? I know for me that I would like to see the box that fits these trays come in the hot pink. 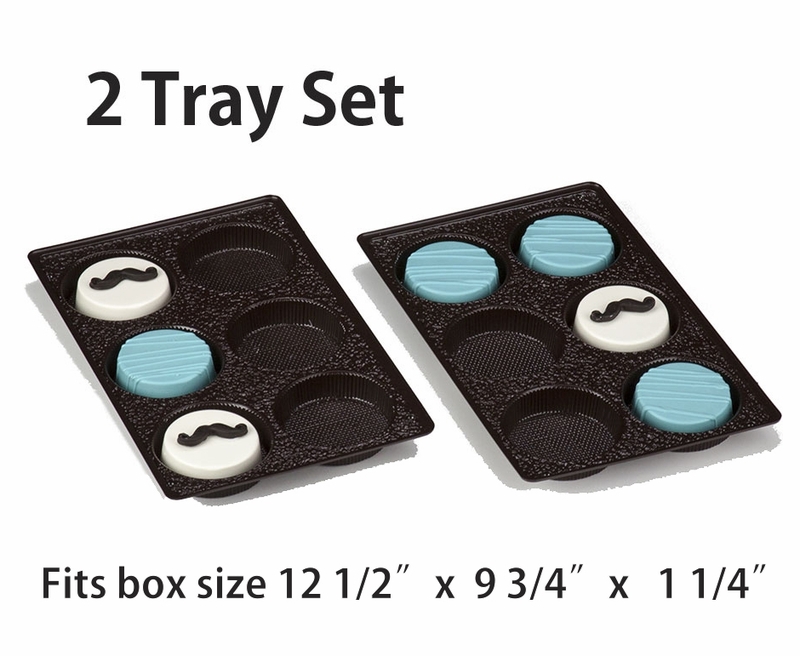 Sorry if this seems silly, but being a 2 pack set - does that mean you get 200 trays in the 100 count pack? Hi Dominique, Not silly at all :) Yes, it means you get 200. Would it be possible to receive a sample? Hi Lily, Yes :) You can find the 'Get Samples' link on the left side of our webpage. 3857x3857 - 2 pack set Gold 6 Cavity Tray 9 1/2" x 6" x 15/16"
3441x3441 - 2 pack set Chocolate Brown 12 Cavity Tray 9 1/2" x 6" x 15/16"